Viktor Frandsen (Johannes Meyer) is the kind of guy you hate on first sight. He wears a permanent sneer just begging to be smacked off his face and holds his posture so rigidly he's either expressing his total contempt for everyone else in the room or he's severely constipated. Oh yes, you're going to hate Viktor Frandsen. Boo, hiss, and boo again, sir! 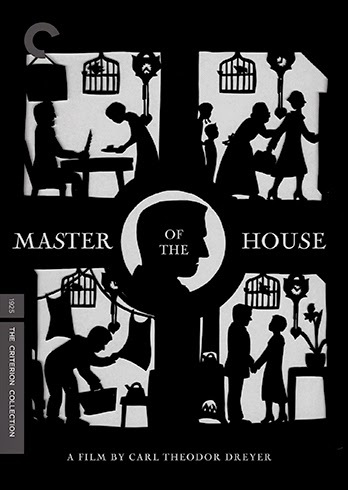 But just when you think Viktor can't possibly have a single redeeming feature, writer-director Carl Theodor Dreyer steers “Master of the House” (1925) in a surprising direction. The English titles (created by Criterion for this release) that open this version of the film proclaim housewives as the true heroes of modern life, but the movie is really a testament to the strength and solidarity of all women steadfastly resisting the patriarchy. Ida's suffering does not go unnoticed, and pretty soon the family's elderly nanny Mads (more on her in a moment) and Ida's mother conduct an intervention in which they inform Ida that she must kick her no good husband to the curb tout suite. 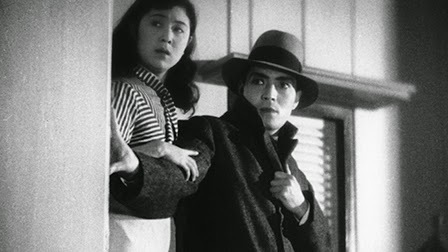 These wise women have learned a thing or two about men and the film has provided us no reason to doubt their judgment, but Ida offers an unexpectedly stirring defense of her brute of a husband. Viktor lost his business and has since become anxious and bitter; she was with him during the good years and it would be selfish to leave during the bad. These are the words of the classic true-hearted silent screen heroine whose unshakeable faith wins the day, but they are also convincing. Still, something must be done about Viktor and at this point it's relevant to point that “Master of the House” is billed as a comedy. This tale of a tyrannical, abusive husband hasn't exactly been a barrel of laughs to this point, but things change once Mads (Mathilde Nielsen) takes charge of the household. Convincing Ida to leave home for a while, the feisty nanny (who also tended to Viktor as a child) begins a lengthy rehabilitation project with the goal of breaking Viktor down and building him back up again. As marvelous as Astrid Holm's restrained, naturalistic performance is, it's Nielsen who steals the show. Her Mads doesn't take guff for a second., and she literally slaps Viktor around to assure that he complies with the new program. Men are the masters? Oh please, let's see how long Viktor lasts trying to do a housewife's work: fold that sheet, change that diaper, get your own damn slippers. Sleeping alone is no fun either. 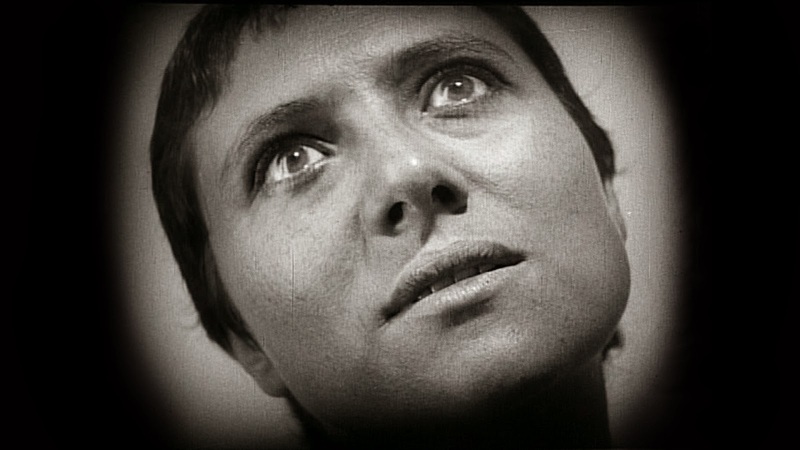 Dreyer doesn't settle for the melodramatic (or even Bressonian) convenience of an instant transformation. Repentance is only the first step for Viktor; he's got to put in the daily labor required to achieve genuine empathy. 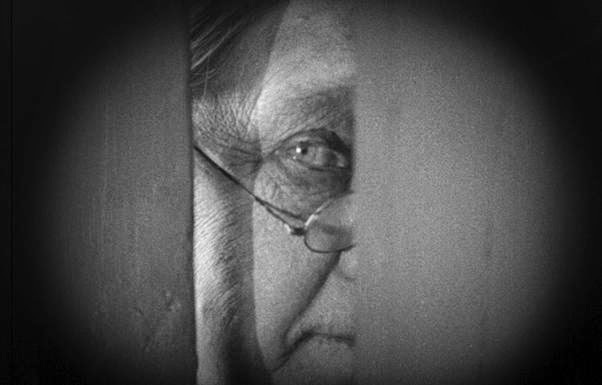 Dreyer pays even more meticulous attention to the domestic space than he does to Viktor's redemption. Unlike most sets of the era, the apartment was not constructed as a stage but rather a space fully enclosed with four (moveable for the camera) walls. We get to know every inch of the apartment from the stove to the table to the bedposts and, through that, the people who inhabit it. I don't know of any cinematic living space that would be explored so completely until fifty years later when we spied on Jeanne Dielman at 23 Quai du Commerce, 1080 Bruxelles. 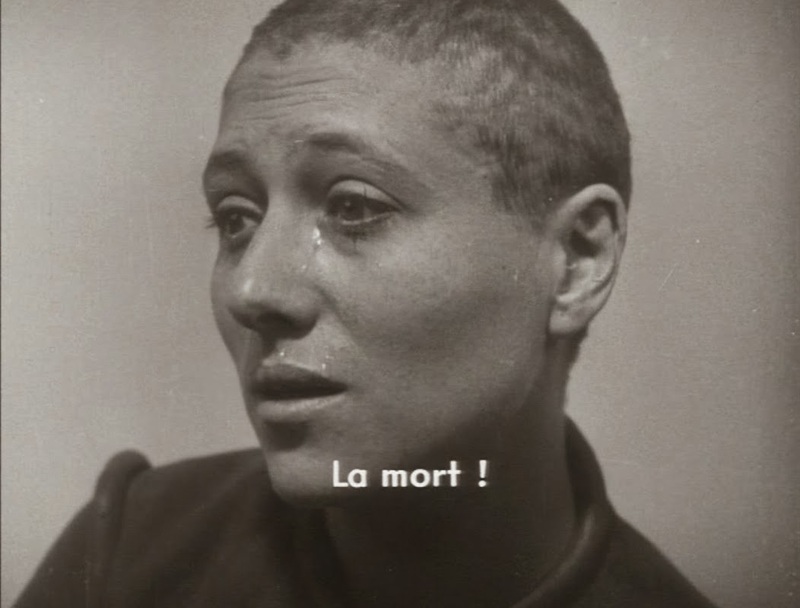 The subject matter may seem more mundane than the great Danish director's better known films like “The Passion of Joan of Arc” (1928) or “Day of Wrath” (1943), but Dreyer takes his heroines and his “hero” (the intertitles even place that word in quotes) every bit as seriously. The acting is both varied (Meyer and Nielsen more grandiose, Holm so quiet and confident) and superb, and the setting tangible. Dreyer had a heck of a knack for emotionally potent endings, and he delivers in profoundly satisfying fashion here as well. 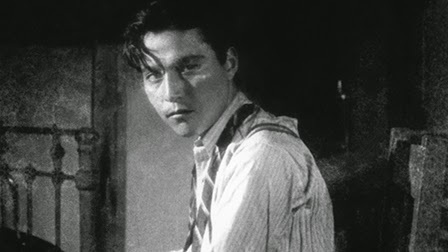 I don't usually quote that much, but that should give you a sense of how much labor went into the restoration of this nearly ninety-year-old film. You will still see some small scratches and other instances of damage, and a few scenes are less sharp than others. But the overall transfer is quite beautiful with rich B&W contrast and a thick grainy look that pleases the eye. Image detail is strong enough that we can appreciate not just the actors' faces, but the set decoration in the apartment that hosts almost every scene. This is a 1080i(nterlaced) transfer rather than Criterion's usual 1080p, but it doesn't pose any problems. Short version: This movie looks far better than I ever imagined I would see it. This is a dual-format release which means a DVD and a Blu-ray have been included. I only looked briefly at the DVD transfer and it is noticeably weaker as far as image sharpness goes, but is otherwise solid and is, of course, sourced from the same restoration. The LPCM 2.0 track does a fine job presenting the score composed by Gillian B. Anderson in 2000 from the cue sheets published by the Palads Teatret in Copenhagen that debuted the movie on Oct 5, 1925. The Anderson score was performed on piano by Sara Davis Buechner in 2004, and has been remastered for this release. The lossless audio crisply captures this modest but effective score. 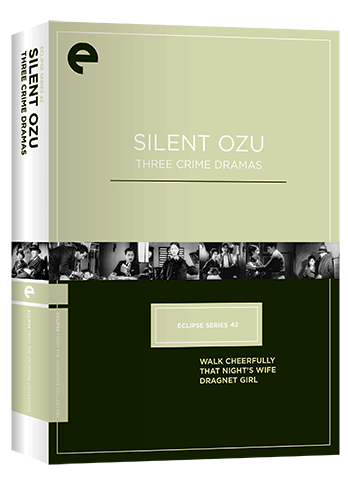 Criterion has only included two extras, but both are interesting. First is a new interview with Danish film historian Casper Tybjerg (15 min.) 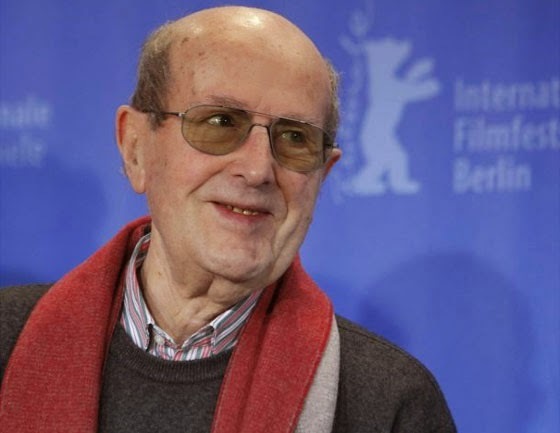 He discusses the play (Svend Rindom's “Tyrannes fald”) on which the film was based and some of the elements Dreyer changed for the film, including some scenes that were shot but cut out. The 20-page insert booklet includes an essay by scholar Mark Le Fanu. 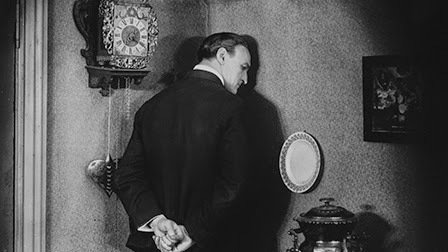 “The Master of the House” isn't exactly a forgotten film, but it hasn't received as much press as Dreyer's most ballyhooed masterpieces. 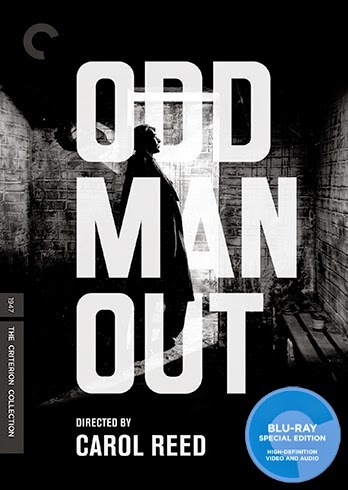 As far as I know this is its first North American DVD or Blu-ray release, and I expect this will be a great opportunity for many viewers to evaluate this as yet another great accomplishment by a great filmmaker. Before their slightly more famous collaboration “The Third Man” (1949), director Carol Reed and writer Graham Greene teamed up to make “The Fallen Idol” (1948). 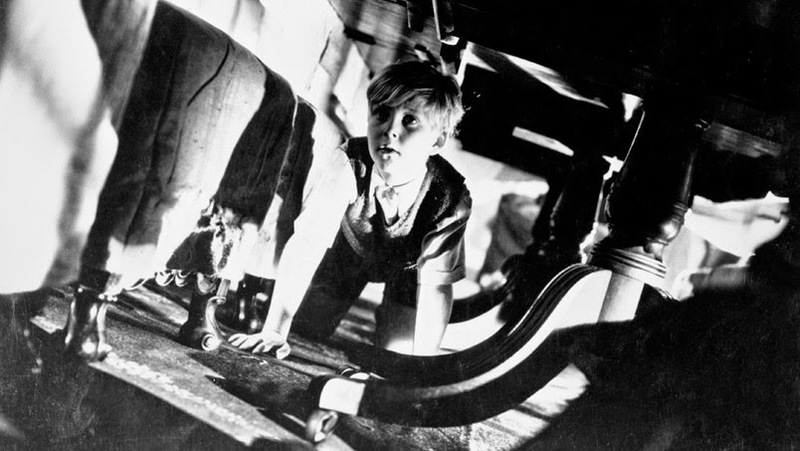 Based on Greene’s 1935 short story “The Basement Room,” the film tells a classic tale of innocence lost. Phile (Bobby Henrey) is the precocious 8-year-old son of a London-based ambassador. 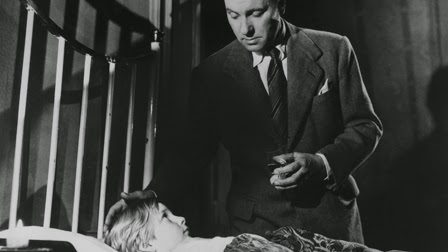 Since his parents are usually too busy to spend time with him, he befriends the butler Baines (Ralph Richardson) who, in turn, seems quite fond of the boy. Phile enjoys a privileged existence in which everyone and everything conspires to provide him more opportunities to play and to have fun; everyone, that is, except for Mrs. Baines who serves as the boy’s strict governess. Mrs. Baines is played with a stony face and withering stare by Sonia Dresdel who does her best to out-witch Margaret Hamilton and out-shrew Mrs. Fawlty. Phile chafes under Mrs. Baines’s iron hand and lets her know it quite plainly: “I hate you.” Kids say the darndest things. Mr. Baines, enduring a loveless marriage in the stoic British manner, is doubtless thinking the very same thing about the missus. Despite Mrs. Baines’s interference, it’s all fun and games for Phile until he follows Baines to a clandestine meeting with the lovely young Julie (Michèle Morgan). Baines convinces Phile that Julie is his niece, but still suggests that the boy not mention anything about her to Mrs. Baines: “It will be our little secret.” Take note of the clever design in this scene: despite the fact that Baines and Phile are walking hand-in-hand, Reed (after an initial establishing shot from behind) never shows a single shot of the two of them together, only reverse shots of the towering Baines, and of tiny Phile looking up at his (soon to be “fallen”) idol. This is not a secret shared between friends, but one imposed by a powerful adult on a helpless child and the first of many lies Phile will be asked to tell in fairly short order; this “little secret” catapults Phile prematurely out of his childhood Eden and into the world of scheming adults. It is a world full of rules and codes of behavior and speech that Phile isn’t yet capable of understanding. 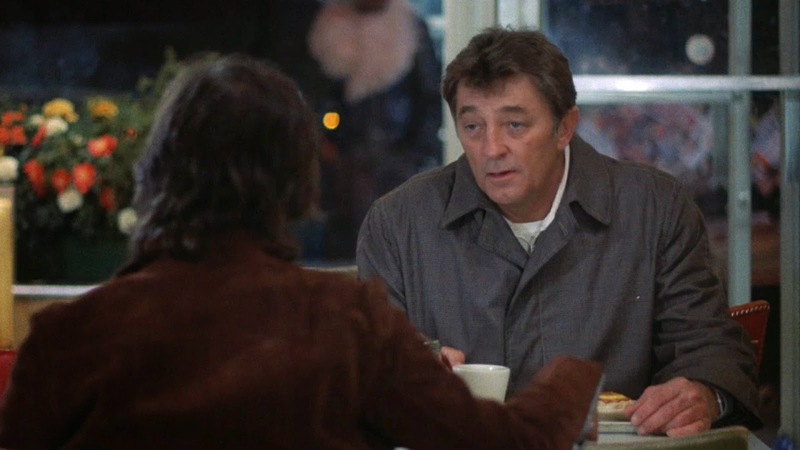 The performance of young Bobby Henrey is either the film’s greatest strength or its most glaring weakness, depending on how you interpret it. Henrey is profoundly non-professional even by child actor standards. He is awkward and stilted, alternately sweet and annoying, has terrible timing and constantly gets in the way. In other words, he’s a lot like a real 8-year-old boy, and Reed works some real magic with his naturalistic but limited star. 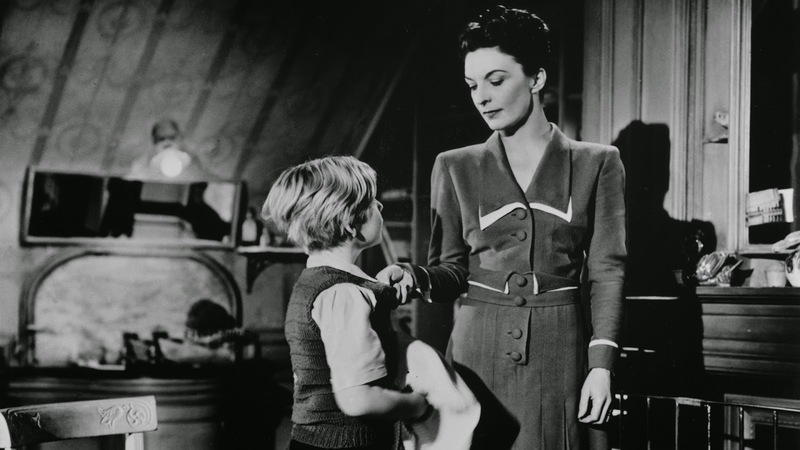 In one of the film’s most memorable moments, Phile surprises his idol by imitating Mrs. Baines’s voice. Henrey’s entire body convulses in a peristaltic spasm, like a python trying to swallow a giant rat, as he squeezes out the high-pitched call of “Baines!” It’s a curious piece of acting (OK, let’s just call it “bad acting”), but Reed’s cut to Baines’s startled face sutures the scene together quite effectively. Like it or not, Henrey’s performance is, at the very least, a memorable one. The first half of the film is by far the most successful, showing the genuine affection between the boy and the butler, but also foreshadowing the tragedy to come. In one scene Phile overhears Baines on the phone with Julie: “Oh, it makes no difference about the boy… Of course he doesn’t understand.” Baines cannot reciprocate Phile’s unconditional love because the life of an adult is just too complicated for that. The second half of the film shifts into a less compelling detective story. Mrs. Baines falls to her death, and Phile, still not understanding what he sees of the adult world, fears that Baines did it. The police have the same suspicions, and much of the action of the final act involves their investigation of the crime scene. Phile tries in vain to be helpful, first by lying, later by telling the truth, failing completely with both tactics. Doesn’t anything make sense with these crazy adults? 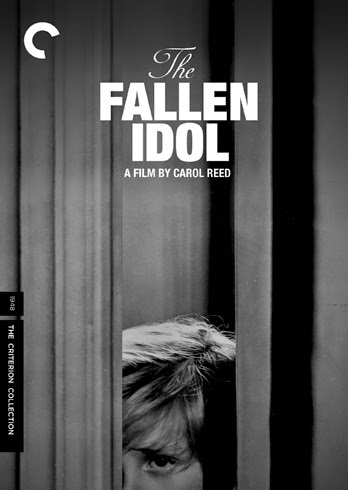 “The Fallen Idol” is a beautifully photographed film.Cinematographer Georges Périnal (who previously worked for Michael Powell) indulges Reed’s penchant for tilted angles (not as extreme as in “The Third Man” but still quite striking) and camera flourishes with aplomb. The sprawling space of the embassy which Phile calls home appears either vast or claustrophobic in different scenes. 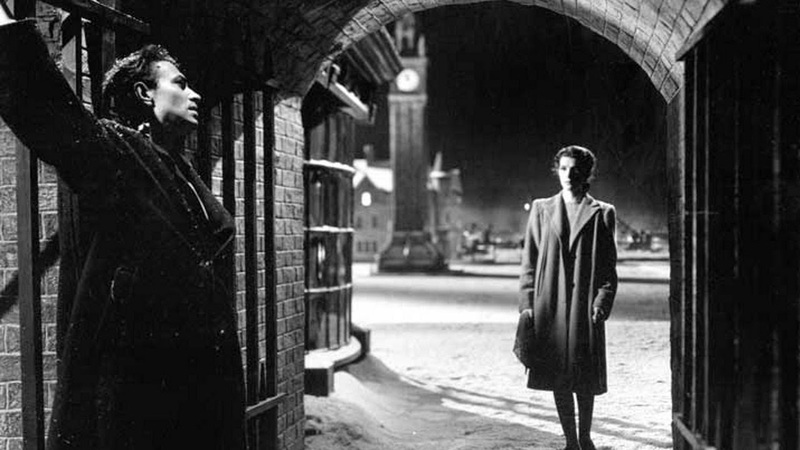 Phile’s feverish run through the shadowy, rain-soaked nighttime streets, shot at long distance and from high angles, is a clear precursor to Harry Lime’s race through the sewers, and should put to rest any claim that “The Third Man” was really more of an Orson Welles film. Reed had a baroque style all his own. 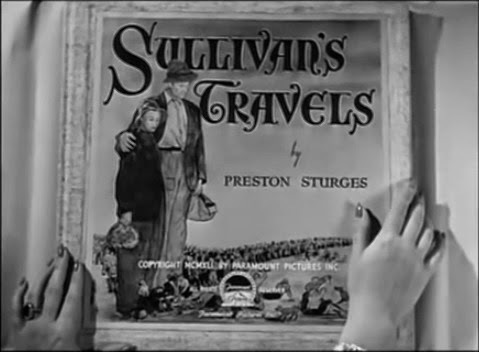 The film is presented in its original 1.33:1 aspect ratio. 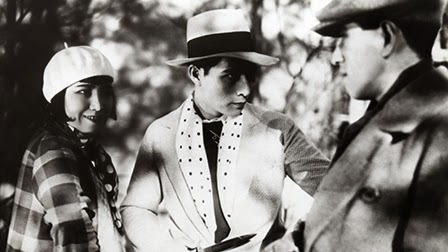 As with several of Criterion’s recent full screen releases, the image is pictureboxed which means some viewers will ses thin bars on the left and right-hand sides of the screen. However, most DVD players compensate by zooming in to display the full picture. The transfer is clean and bright, and the black and white contrast very sharp. “A Sense of Carol Reed” (24 min.) is a 2006 documentary shot for the Criterion release. 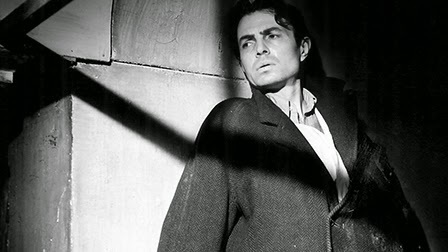 Directors John Boorman and Guy Hamilton, among others, reminisce about Carol Reed’s life and career, and make an argument for a reevaluation of Reed as one of the great directors. Not that he's exactly unappreciated as is. The DVD also includes an Illustrated Carol Reed filmography: posters and press book covers from all his film. The Original Press Book for “The Fallen Idol” is also available. The chunky insert booklet features essays by critic Geoffrey O’Brien, writer David Lodge and Reed biographer Nicholas Wapshott. There's the rub, as the Danes say, and wouldn't a Danish taste good about now? But there's reason for optimism. Schaunard's got a pretty good deal going in cooperation with his fellow creative types, the impoverished Albanian painter Rodolfo (Matti Pellonpää) and the criminally unappreciated writer Marcel Marx (André Wilms). Granted, even a pooling of their resources still amounts to a mere trickle, but at least they're in Paris, the only city that can support their Bohemian lifestyle, i.e. permanent unemployment. Crucially, it's a Paris shot in grubby black-and-white because a color-saturated Paris just wouldn't have room for dreamers so willfully out of touch with their time. You can also pick up a lot of women with the line “Hey, baby, wanna come back to my loft and see my art?” Alas, love stories that start with there tend to end with “I'm hungry.” But perhaps the awareness of an inevitable tragic fate only makes the creative life that much more vital, and every artist can use a good muse, or even a Musette (the name of Marcel's secretary/girlfriend played by Christine Murillo). 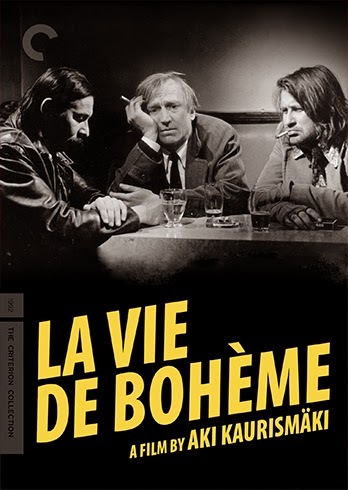 Finnish writer-director-producer Aki Kaurismäki read Henri Murger's oft-adapted mid-19th-century collection “Scènes de la vie de Bohème” as a teenager and instantly vowed to film it one day; he only had to wait a few decades to make good with this 1992 release. Undeterred that more than a dozen directors had already beaten him to the punch, Kaurismaki was eager to make his mark on the material, importing much of his familiar team. Who better to play an Albanian painter in France than the great walrus-mustached Finn Matti Pellonpää? Need an Irish composer of unendurable atonal post-modern music? Kari Väänänen, Kaurismäki's former village idiot and Polonius, is the obvious choice. 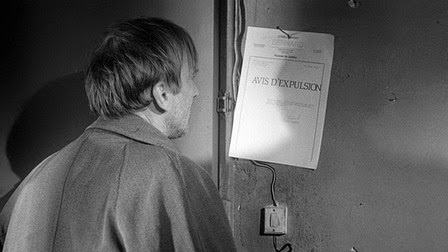 Kaurismäki's love for Murger's short stories dovetailed with his cinematic Francophilia, and he probably figured it would help to have a few actors in this French-language film who actually spoke the language, unlike Pellonpää and Väänänen who learned their lines phonetically. André Wilms was cast as Marcel and Evelyne Didi as Rodolfo's girlfriend Mimi; Kaurismäki liked them both so much he cast them both together a few decades later (as similar characters) in the lovely “Le Havre” (2011). 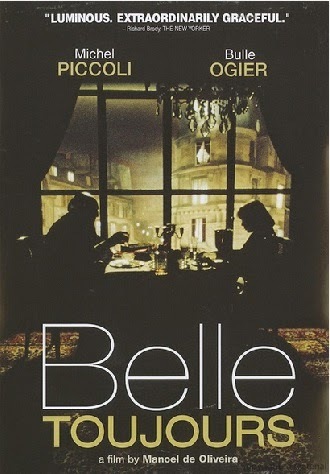 The film, like its characters, drifts around the same low-key Parisian neighborhood (actually a Parisian suburb that looked more like old Paris than modern Paris now does). The action picks up with the writer Marcel being evicted from his apartment; we realize he's unlikely to pay his back rent anytime soon when we find out his new script is titled “The Avenger – A Play in 21 Acts.” While homeless, he wanders into a cafe (much of the action takes place in a series of sidewalk cafes – it's Paris, after all) and splits a two-headed trout with the stranger Rodolfo. They become fast friends and return to Marcel's apartment which is no longer Marcel's, but fortunately the new occupant is Schaunard ,who has only Marcel's unclaimed furniture to fill his four walls. The men reach a mutually beneficial understanding. The narrative plucks several different threads, but gradually focuses in on the budding relationship between the immigrant Rodolfo and Mimi, who has traveled to the big city to stay with a friend who, it turns out, will be staying in prison for a few years. The tragic lovers are clearly destined for each other, yet also destined to be kept apart by various factors: Rodolfo's lack of a visa, Mimi's health, and, always, money. But they will always find their way back together. The film depicts its lazy dreamers with a combination affection and skepticism, but never condescension. We know they are not particularly talented (a brutal piano performance by Schaunard prompts an end to one relationship as the scales, so to speak, drop from one woman's eyes) but what matters is that they believe in themselves and can at least muster the courtesy to pretend to believe in each other. 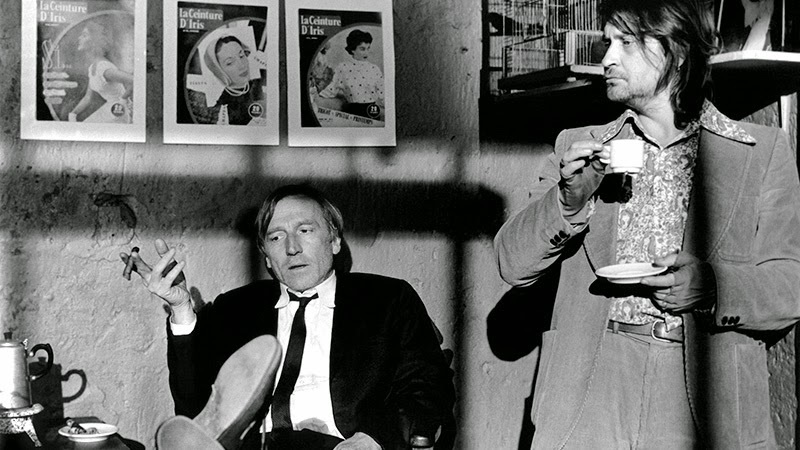 And, hey, every artist can, in theory, have his fans, as we discover when Rodolfo gains an unlikely patron in the form of a sugar baron and budding art collector played by Nouvelle Vague legend Jean-Pierre Léaud. Cameos by directors Sam Fuller and Louis Malle provide extra servings of cinephilic pleasure. I would also be remiss if I neglected to mention the moving performance of Laika as Rodolfo's faithful dog Baudelaire. It's amazing to find out that Pellonpää and Väänänen spoke their lines phonetically. They are thoroughly convincing and certainly have no trouble sharing scenes with the Francophones; the whole cast develops an easy-going, naturalistic chemistry. It helps to have a face like Pellonpää's, such a natural deadpan template. Each of the characters has considerable flaws, but they all exhibit an endearing, if vain, nobility in their penniless suffering. They look foolish at times, but we all do to certain observers. The delicate stasis they craft together has an irresistible appeal; it's the kind of pocket universe you'd love to slip into for a summer or two, as long as you could stage a strategic exit before the food runs out. 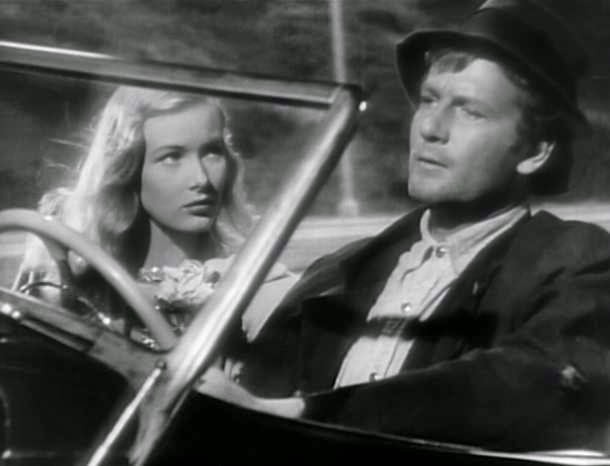 The film is presented in its original 1.85:1 aspect ratio. Timo Salminen's black-and-white photography looks particularly lustrous with this 1080p transfer, with sharp contrast and a satisfying fine-grain structure. On just a few occasions, I noticed slight signs of artifacting, a bit of distortion around foreground objects, but it's minor and nothing that detracts from the viewing experience. The linear PCM mono audio track is crisp and distortion free as far as I can tell. 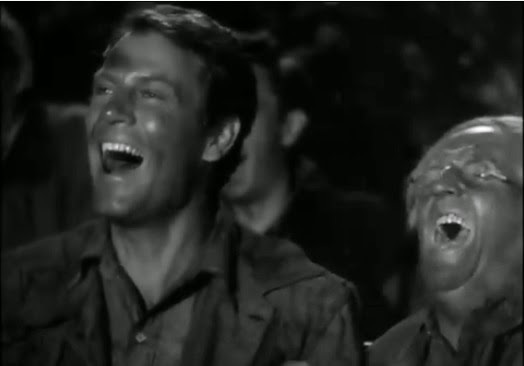 The film is mostly dialogue-driven but a few prominent musical cues sound very strong here, the best being a performance of “Bird Dance Beat” by a bar band identified in the credits as The Fake Trashmen. Optional English subtitles support the French audio. “Where is Musette?” is a 52-minute behind-the-scenes documentary directed by Veikko Nieminen. The on-set documentary features several interviews with Kaurismäki, but also emphasizes the collaborative nature of this intense, independent production. And at the half-hour mark, you'll get a brief performance by Sam Fuller. The slim insert booklet features an essay by critic Luc Sante. 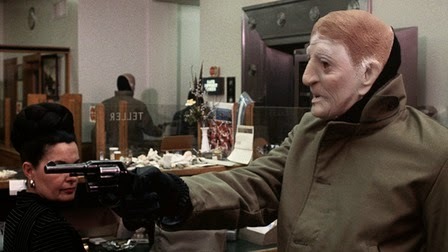 This might be my favorite Kaurismäki movie. The deadpan humor is pitch-perfect here, and the cast works in perfect harmony. 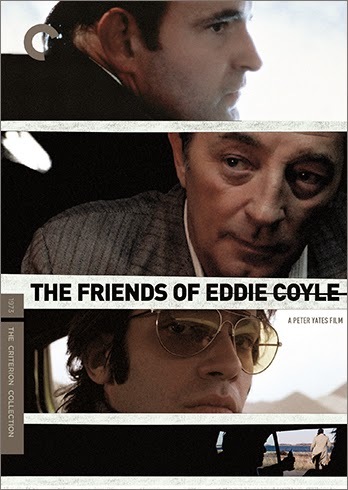 This doesn't get as much attention as many other Kaurismäki movies, but don't miss out on it.